All of us want to live in an elegant home. We would look into having a high-end house because for most of us, it gives us the idea of being able to live comfortably. But in truth, it would also depend on the decoration of the house. 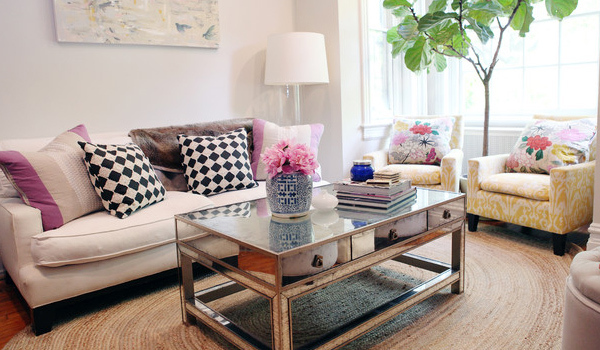 How it looks is greatly affected with the way we put in decors and other beautiful items for the home. It may seem costly and hard to achieve but in truth, an elegant house can be achieved by anyone. Who says you can’t get an elegant feel in your house just because you have a limited budget? Well, nothing is impossible as long as you have that strong will to do it and as long as you are creative. 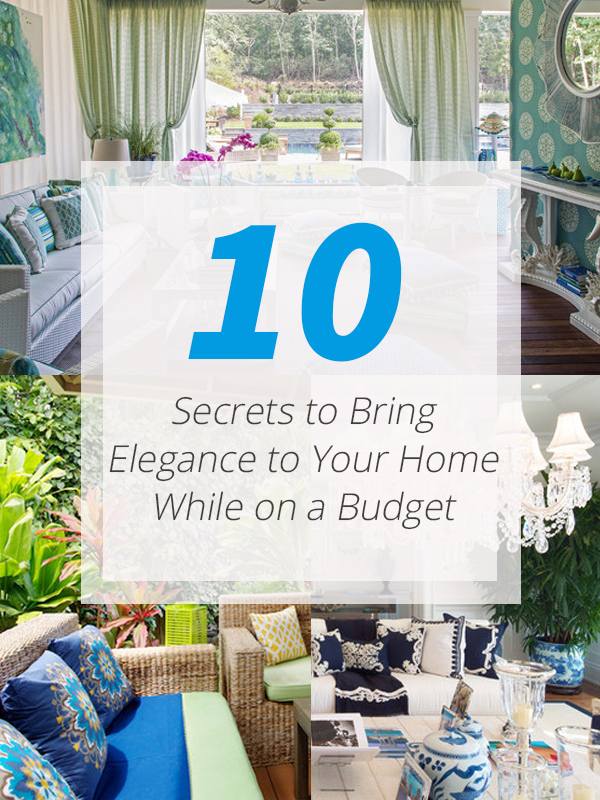 In truth, you don’t have to spend too much just to get an elegant home. What you do not know is that some home with alluring sophistication were actually done with a minimal budget. Want to learn how? Here are ten secrets I am going to reveal for you today. 1. Know the look you want. 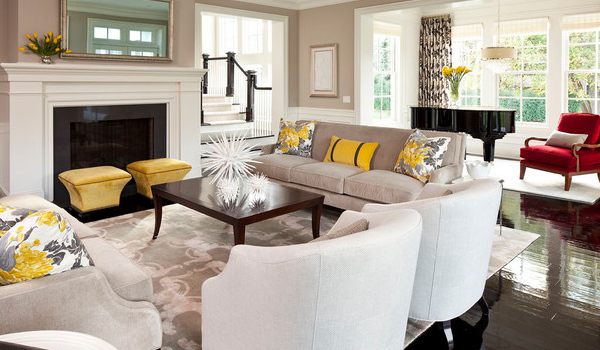 First thing that you need to know is the kind of look you want for your interior. This will guide you through the entire process of decorating. With this, you will be able to determine what items and decors you would need. You can look into inspirations like magazines or even websites. You can find a lot from there and for sure, you will be able to decide for the look of your home after seeing a bunch of inspiration. 2. Get a cheaper version of the style you want. Since you have already decided what you want, the next thing you would do is hunt for these items. For sure, you want something that is expensive and luxurious. But do not buy this. There is always a cheaper version with a similar design. It could still give the same appeal to your space. Look into shops and even second hand stores. You might find something that suits your taste. 3. Update your paint colors. 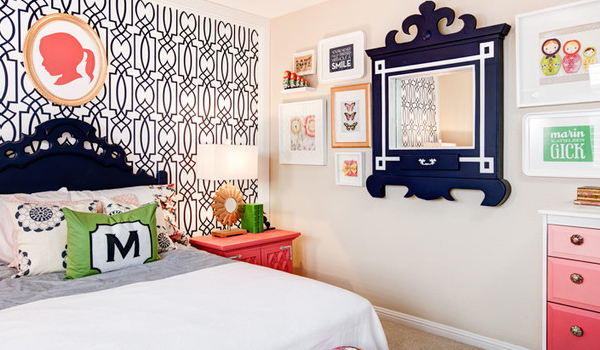 One way of adding a burst of colors in your space is through the paint. You can always paint your walls or ceiling or some details in the house. You can even paint your furniture too. Don’t forget to choose a color scheme that you want because this will be your guide in getting the decors and items for your home. 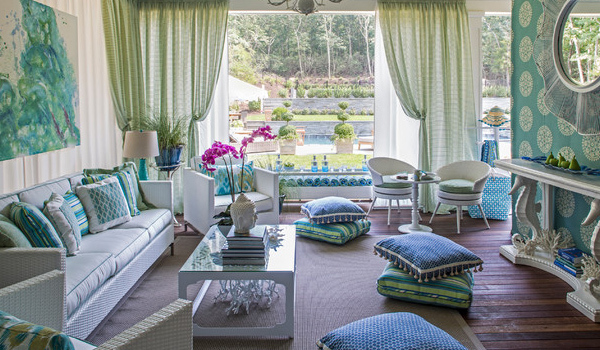 Adding window treatments is an easy way to bring elegance to your home. 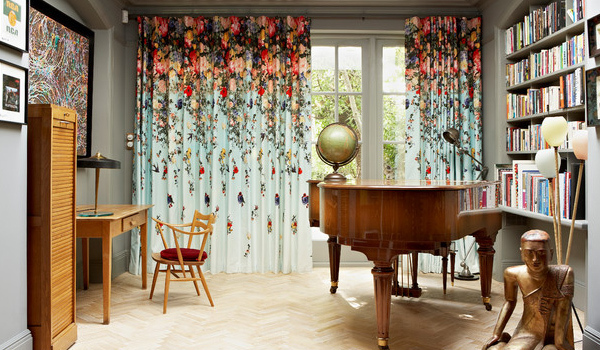 Since you are aiming for elegance, get curtains that are made from natural silk, linen and cotton. Avoid buying cheap looking fabrics. If you don’t want to use fabrics, you can always try shades. Even a wooden shade or blinds would look amazing. 5. Enhance the level of comfort with throw pillows. There are many inexpensive throw pillow covers you can get. Choose those with a creative design and it has to bears the colors that you want for the home. 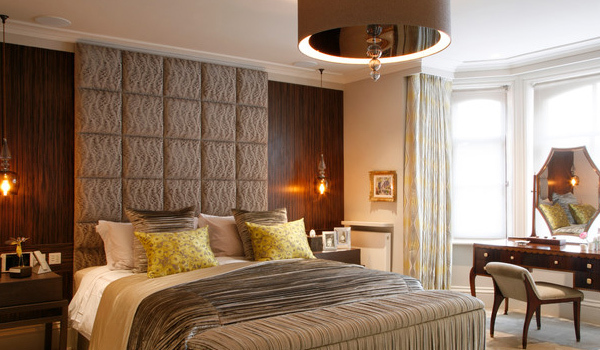 You can even combine those with different patterns and fabrics for an interesting appeal. Your throw pillows have to be overstuffed and soft. You can even go for large ones for it is more comfy and would look more elegant. 6. Go for a dramatic lighting. The lighting fixture that you choose has a great impact to our home. Get a decorative chandelier or pendant light. Do not just stick with the usual lights but opt for one that has a beautiful design. You do not need to buy the expensive ones. Look for a unique piece at the flea market or in thrift shops. There are many items there that you can use for decorating. You also have to be creative in adding lights. 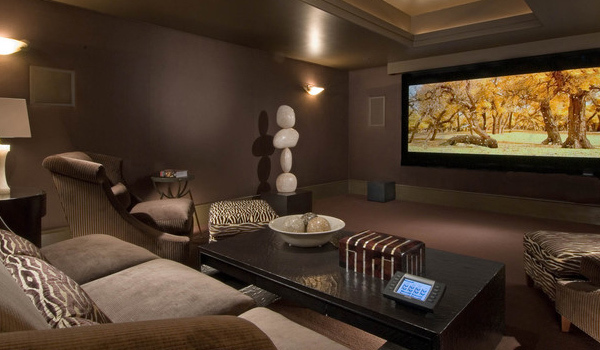 Using recessed lighting can give your space a dramatic feel. Add floor lamps and table lamps too. Mix different types of lighting in your interior and it would look fabulous! If there is a furniture design that you really want to get, do not buy that expensive one. Look for affordable versions that is nice and comfy. You can even revamp old furniture. If you have this DIY skills, you can get a furniture and then redesign it with the look you want. You can paint it or change its upholstery and add other design too. This way, you can match your furniture to your home decor. Now that you got all the major items, it is time to look for accessories. One good idea to add elegance to your space is to use items with metallic colors like a gold-trimmed mirror, a silver table sculpture and others. Gold can be a good option to add a luxurious touch to your interiors but it when we say gold, it doesn’t mean expensive. There are many inexpensive home accessories with this color. As always, it would be a lot cheaper if you DIY. Don’t have any idea how to do it? You can always search for inspiration and instructions online on how make your own lighting, area rugs, vases and other decors. If you make your decors, you won’t merely be saving money but you will also be able to choose the design that would match your home. 10. Regularly clean your home. 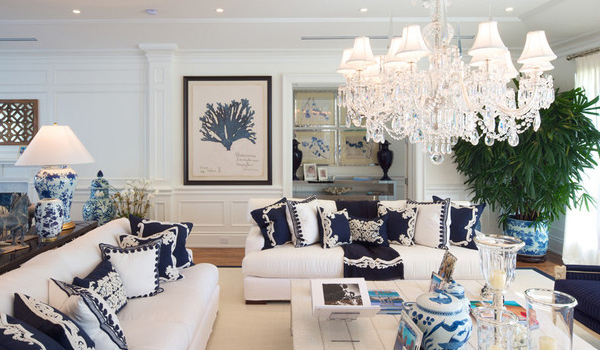 Yes, having an elegant home isn’t just about how the furniture and furnishings. It is also about cleanliness. Make sure to always clean and de-clutter. Nothing is elegant about a cluttered and dirty home! Make a regular schedule of cleaning your house. You even have to do it every day. This way, you can preserve the beauty and elegance of your space. See? It isn’t very hard after all! You just have to be very diligent in looking for cheaper items to use as decors or in making one. Make sure to visit thrift stores where you can get what you need in a much lower price. You will then realize that in order to achieve an elegant home, you don’t need to be rich! Do not forget to allocate a certain budget so that you will not exceed it and you can only spend for what you need. Love these tips? Share it with your friends!